On Friday I had a half-full, forlorn can of pumpkin sitting on my counter, begging for a home. 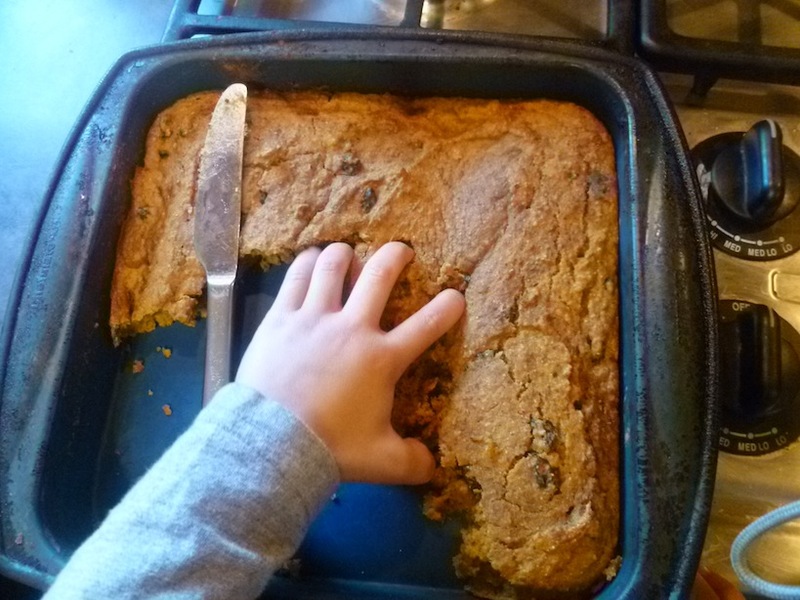 Pumpkin cake for Shabbos would be perfect, right? My kids decided there was no need to wait for Shabbos to inhale it. And see this knife? Apparently it was a mere suggestion. Next time, I’ll guard this cake more closely.